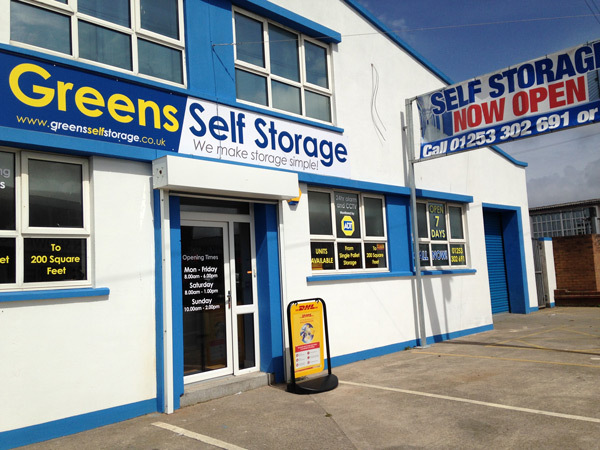 Welcome to Greens Self Storage, located on Mowbray Drive, Blackpool. We offer long and short term storage for business and domestic customers, all of which is safe and secure. Our business is in the hiring and leasing of internal storage solutions. Greens Self Storage is located at 101 Mowbray Drive, with state of the art security measures - you can rest easy that your belongings are safely stored with us. We	have new storage boxes which offer a new solution to storing your items in a much smaller, cost effective space.